I have been invited to write about a turning point in my life. I’m glad to share. There have been several, but perhaps the most important was awakening to the unsustainability of humanity’s behavior. Prior to that awakening I understood my calling to be as a Protestant theologian writing in an intellectual context in which faith in God had become decreasingly supported by the culture. I was a believer, and I thought I could help those who were struggling with the issue to understand God and the natural world about which science taught us in mutually helpful ways. I had found the philosophy of Alfred North Whitehead a great aid in this and other ways. 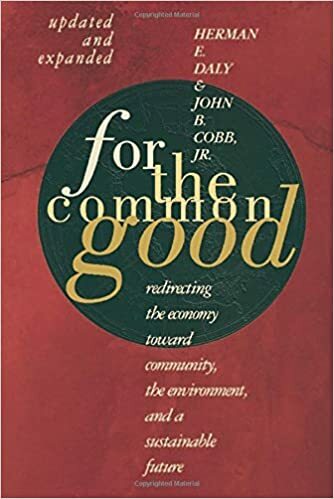 I was a product of the social gospel and assumed that faith in God was closely connected with working in the world for peace and justice. In Georgia in the sixties this expressed itself chiefly in working for racial justice. Although few saw the importance of philosophy as I did, my stance was otherwise typical for Protestant theologians. My hope was that fellow Methodists, schooled in the philosophical theology of Personalism, in which the category of person is taken as decisive for thinking about God and the world, would appreciate the greater rigor and depth of Whitehead, especially the way he expanded concern beyond human persons to other creatures. In the late sixties one of my sons, Cliff, learned in a church youth program about global problems of which I was only vaguely aware. He found them terribly depressing, and I saw that I needed to understand better what troubled him. He told me to read The Population Bomb by Paul Ehrlich. That book shifted my thinking from recognizing lots of serious problems needing to be addressed to the understanding that humanity, as a whole, was destroying the habitability of the planet. This was not a problem to be added to those I was already trying to address. The need to get the world back onto a sustainable track was all encompassing. My understanding of the human situation has gone through much change and development. Ehrlich focused on population issues, and, my early work followed him. To this day I consider population issues to be of great importance, and I responded far more positively than most people to China’s one child program. (I admit, however, that I am embarrassed by some of the things I thought and said because of a one-sided focus.) Ehrlich made predictions that turned out to be erroneous. In many respects the book was wrong. However, the message was right. The world was headed for catastrophe. Treating this as one problem among others was the really serious mistake. My vocation changed. “Saving the world” became my goal. I understood this goal to be fully theological. This is God’s world. Saving a few people out of God’s world while destroying the world was surely not God’s will. I organized conferences, wrote articles and books, and gave speeches on this topic. More slowly this concern changed the way I taught and my subject matter. I use the phrase “more slowly” because my job was to teach theology, and very little theology had any direct implications for saving the world. Hence, I changed my definition of theology. In the modern period, “theology” had become a narrowly church affair. I came to realize that, prior to modernity, theology dealt with all-important topics. “Theology” was intentionally Christian thinking about important questions. I became committed to being a theologian in that “old-fashioned” sense. This did not reduce my commitment to Whitehead’s philosophy. In my view, an underlying cause of the self-destructive actions of society was facilitated by a commitment to a materialist, mechanistic view of nature. Whitehead provided an alternative framework that could support and advance scientific inquiry while providing the world with reasons to care for nature. My distinctive contribution to the task of saving the world would be to promote the changes for which Whitehead called. I must admit that simply teaching Whitehead’s philosophy has little chance of making a difference. I thought, and think, however, that philosophy, even specifically metaphysics, is immensely important. It controls the way people think about everything – even when people deny they have any metaphysical commitments. I believed books were needed about questions people knew to be important that were addressed from a Whiteheadian perspective. I teamed up with a biologist, Charles Birch, to write about biological life, and with an economist, Herman Daly, to write about what has become the queen of the sciences. 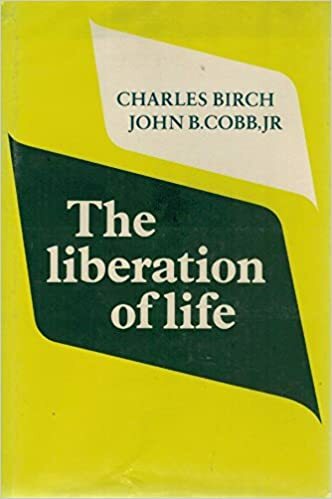 Both Birch and Daly were Whiteheadians and Christians, but we wrote, not about Whitehead or Christianity, but about life and economics, respectively, from a Whiteheadian and Christian perspective. These may be my most valuable theological books, even though they are not what most people would think of as “theological” at all. They were made possible, however, by my own renewal – of a traditional understanding of theology, made possible by my awakening to the fragility of the human situation.